This post and this twitterÂ thread describe a mechanism to prevent the latest ransomware cyber attack from running. It involves creating 1 (or 3) files with a specific name(s) and with the Read-only attribute set. Although the instructions on the first post describe copying and renaming notepad.exe, any file, even an empty file, with the correct names and the Read-only attribute will suffice, if I read the twitter thread correctly. 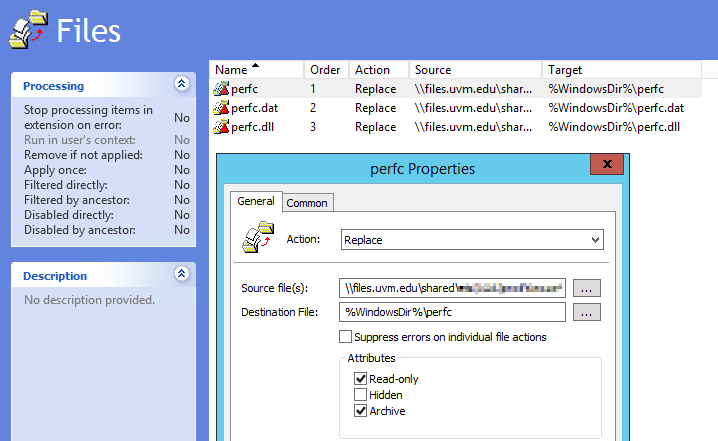 There are numerous ways to accomplish this in a large organization, including an SCCM package that either deploys some files, or that runs a script to create the files.Â However, I decided to use Group Policy File Preferences to copy a small text file to the three filenames described, including setting the Read-only attribute. Using Group Policy File Preferences to create the files that will block the Petya (NotPetya) Ransomware. This should be executed on the affected computers at their next GP refresh, which might be sooner than a reboot for a start-up script. This entry was posted in Posts and tagged administration, Group Policy, security on June 28, 2017 by Geoff. For my reference, a video of a session I missed at TechEd. Also available via Microsoft Channel 9 ( downloads available ). This entry was posted in Posts and tagged administration, BitLocker, ForMyReference, Learning, security, WindowsServer on November 11, 2014 by Geoff. I need to automate the setting of passwords on some Active Directory accounts. Since resetting passwords is also a task that I’m asked to perform with some routine, I decided to make a more generic tool script that could be used in a variety of tasks ( I listened to Don Jones‘ advice on building Tools and Controllers). I also got a head start from Bill Stewart’s useful Windows IT Pro articleÂ Generating Random Passwords in PowerShell. Â Among the changes I made are source character class handling, and a new SecureString output option. Please let me know if you find the script useful, or if you find any bugs. The length of the string to be generated. digits, and symbol characters (i.e., ALL the classes). The number of strings to be generated. objects, to make their use as passwords easier. used are upper and lowercase letters, digits, and symbol characters. and Digits classes, but will not contain the "look-alike' characters. write-verbose "Source chars: $(-join $char_source)"
write-debug "NewString: generated string is -> $output"
write-debug "CharClass: '$char' is in $class"
write-debug "CharClass: No character from $class! Start again"
# string matches required character classes"
It was while I was writing this script that I ran into the Loop Label documentation error. In PowerShell, as in Perl, Loop Labels do not include the colon when used with a break or continue statement. 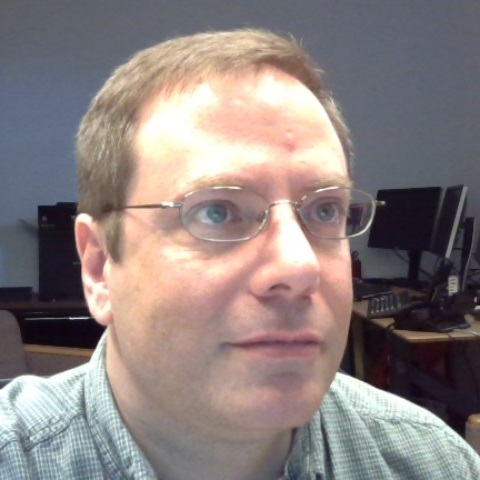 This entry was posted in Posts, Scripts and tagged PowerShell, Programming, Scripting, security, Tools on November 7, 2014 by Geoff. In order to connect to the Remote Desktop service on centrally managed servers from off campus, as well as some more sensitive servers from on campus, you need to use the Remote Desktop Gateway feature. For the current Remote Desktop Client on Windows, you can configure this option by going to the Advanced Options tab, and then click the Settings button. On the RD Gateway Server Settings window that open, select the second option, Use these RD Gateway server settings. The server name is rdgateway.uvm.edu, and chose the Ask for password option. Click OK, and you should be able to connect using the RD Gateway service. 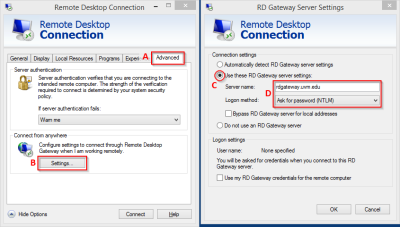 For more information about RD Gateway, see What is a Remote Desktop Gateway server? This entry was posted in Posts and tagged RemoteAccess, security, WindowsServer on February 10, 2014 by Geoff. I will probably need to refer to this myself, but maybe someone else will find this useful. Still working through some print queue management tasks, I needed to change permissions on a collection of printers. Yesterday, I broke down and did a bunch of repetitive work in the GUI, and noticed there were some inconsistencies in the permissions applied to a clients print queues. Today, I decided that I would fix them, but I didn’t want to use the GUI. Although the Server 2012 Printer Management Set-Printer cmdlet can change the permissions through its -PermissionSDDL parameter, I haven’t found a workable (even if you call SDDL workable) way to do so on a Server 2008 system. So I fell back to using PowerShell with Helge Klein’s SetACL command-line tool. I could also have used his COM version if I wanted to be really efficient. I use an array of arguments to the external command. See this Scripting Guy post for more info on calling external commands. PS C:> $rlprinters = gwmi Win32_Printer -filter "Name like 'RL -%' OR Name like 'RL-%' "
>> & $setacl '-on', $p , '-ot', 'prn', '-actn', 'ace','-ace',"n:$group;p:full"
It worked like a champ. Note that I needed to run an elevated PowerShell session (run as Administrator) to be able to make the changes. Also, I tested this on a single printer before attempting to make bulk changes. I also have a nightly dump of my printer configuration. You get the idea. This entry was posted in Posts and tagged administration, PowerShell, Printers, Scripting, security on June 7, 2013 by Geoff. This does require a reboot to put into affect. This entry was posted in Posts and tagged IIS, security on February 28, 2013 by Geoff. 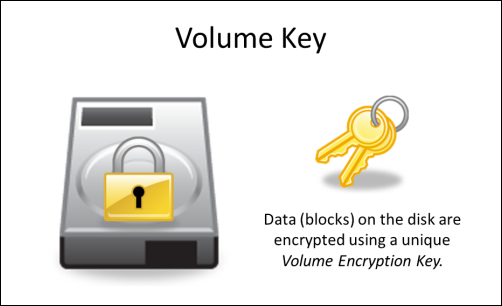 In my discussion and demo at the IT-Discuss Live â€“ Security event in May, I used a short slide deck to describeâ€”in broad termsâ€”how PGP Whole Disk Encryption works. This laid the foundation for working through some common-ish support scenarios. Having received several requests for a copy of the slides, here they are, in both PowerPoint (.pptx) and PDF formats. This entry was posted in Posts and tagged encryption, pgp, presentation, security on July 2, 2012 by Geoff. Iâ€™ve received several phishing attempts, recently, this time masquerading as mail from Twitter. I thought Iâ€™d share how I recognized this as an attack. Many list members already know this stuff, but I thought Iâ€™d share since we still see folks responding to these kinds of attacks. Before I even looked at the content of the message, I was suspicious because I donâ€™t have any twitter stuff associated with my UVM email. I could have deleted the message then and, if I was using twitter, logged into my twitter account directly to see if something was going on. But I wondered how the message was crafted, so I opened it with awareness. A false link is shows a web address in the message, but the link that is attached to it is different. Below, my mail program shows that the link will actually send me to pachitanglangbarcelona.com. This entry was posted in Guides, Posts and tagged email, security on March 23, 2011 by Geoff. When the recent SMB 2.0 vulnerability was announced, there was some discussion on the Toasters mailing list about whether Data ONTAP was affected. Val Bercovici from NetApp responded that Data ONTAP was not affected by this issue. Today, I discovered that to enable the filer snapshots to be visible within the Previous Versions facility within Windows 7 (or Server 2008 R2), I needed to enable SMB 2.0. I spent some time search on NetAppâ€™s support site for some assurance that the SMB issue didnâ€™t affect ONTAP, but didnâ€™t find anything. This document rocks. It lists the Microsoft Security updates, by month, and the result of NetAppâ€™s testing. Exactly what I was looking for. Thanks, Val. This entry was posted in Posts and tagged netapp, security on November 19, 2009 by Geoff.